Sometimes, while browsing the virtual shelves on Amazon and Goodreads, I see an image that gives me an oddly disconcerting sense of deja vu. I could swear I've never read the book, but I know I've seen the jacket image somewhere before. This phenomenon is what inspired Cover Clichés. Images are often recycled because cover artists are often forced to work from a limited pool of stock images and copyright free material. That said, I find comparing their finished designs quite interesting. 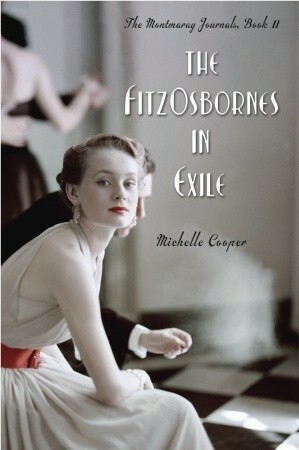 Michelle Cooper combines the drama of pre-War Europe with the romance of debutante balls and gives us another compelling historical page turner. Sophia FitzOsborne and the royal family of Montmaray escaped their remote island home when the Germans attacked, and now find themselves in the lap of luxury. Sophie's journal fills us in on the social whirl of London's 1937 season, but even a princess in lovely new gowns finds it hard to fit in. Is there no other debutante who reads?! And while the balls and house parties go on, newspaper headlines scream of war in Spain and threats from Germany. No one wants a second world war. Especially not the Montmaravians—with all Europe under attack, who will care about the fate of their tiny island kingdom? Will the FitzOsbornes ever be able to go home again? Could Montmaray be lost forever? August, 1938. Paris is a city living on its nerves and the threat of war hangs heavy as a distant thunderstorm on a summer's day. 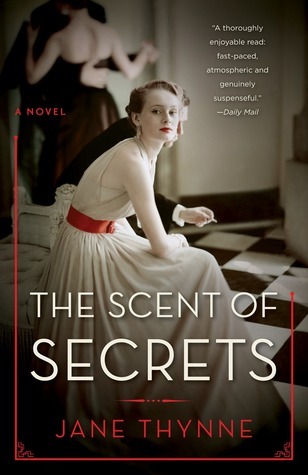 With war becoming increasingly likely, Clara is approached by an undercover British operative, Guy Hamilton, who asks her to perform a task for her country: to befriend Eva Braun, Hitler's girlfriend, and to pass on any information she can gather. Maeve Fanning is a first generation Irish immigrant, born and raised among the poor, industrious Italian families of Boston’s North End by her widowed mother. Clever, capable, and as headstrong as her red hair suggests, she’s determined to better herself despite the overwhelming hardships of the Great Depression. However, Maeve also has a dangerous fondness for strange men and bootleg gin—a rebellious appetite that soon finds her spiraling downward, leading a double life. When the strain proves too much, Maeve becomes an unwilling patient in a psychiatric hospital, where she strikes up a friendship with an enigmatic young woman, who, like Maeve, is unable or unwilling to control her un-lady-like desire for freedom. Once out, Maeve faces starting over again. 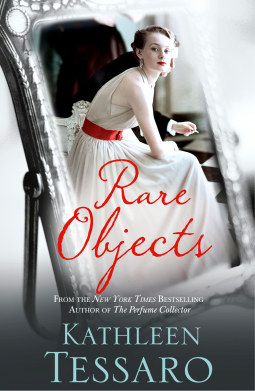 Armed with a bottle of bleach and a few white lies, she lands a job at an eccentric antiques shop catering to Boston’s wealthiest and most peculiar collectors. Run by an elusive English archeologist, the shop is a haven of the obscure and incredible, providing rare artifacts as well as unique access to the world of America’s social elite. While delivering a purchase to the wealthy Van der Laar family, Maeve is introduced to beautiful socialite Diana Van der Laar—only to discover she’s the young woman from the hospital. 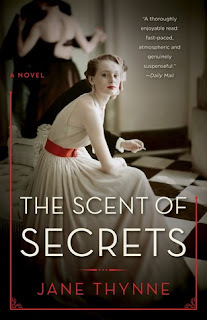 Reunited with the charming but increasingly unstable Diana and pursued by her attractive brother James, Mae becomes more and more entwined with the Van der Laar family—a connection that pulls her into a world of moral ambiguity and deceit, and ultimately betrayal. Bewitched by their wealth and desperate to leave her past behind, Maeve is forced to unearth her true values and discover how far she’ll to go to reinvent herself. D-Day on a Normandy beach: a flip of a coin seals the destinies of two men in love and war. From one of Ireland’s finest writers, a glorious epic story of passion and fate, of cowardice and bravery, and of adultery and murder. Chud Conduit, the wild grandson of the most successful businesswoman in Monument, and Jack Santry, gentle Anglo-Irish heir to Main, the estate on the hill, are the most unlikely of friends. United by their love for Rosa, beautiful daughter of the town bookmaker, they are bound by a terrible event that flings all three adolescents from their Garden of Eden. Chud and Jack meet again on the beaches of Normandy, where events determine the course of the rest of their lives in ways that none of them can anticipate. One wins Rosa's hand in marriage, the other her eternal affection, sealing their destinies together over six decades, tangled in a triangle of love that is stronger than social convention, beyond even law. 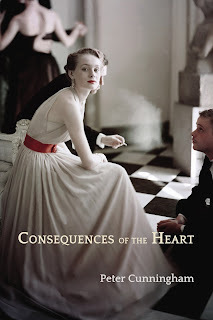 Consequences of the Heart is a work of powerful and sensual lyricism, effortless characterization and sparkling humor. Which cover strikes your fancy and why? What colors draw your eye? Do you think the image appropriate next to the jacket description? Leave your comments below! Have you seen this image elsewhere? Shoot me an email or leave a comment and let me know.